On Thursday, March 3rd at 6 PM, the Center for Public Scholarship will host Cass Sunstein and Daniel Kahneman in its 8th Public Voices event. 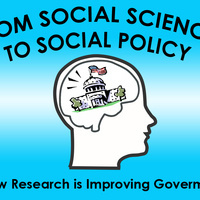 Come hear renowned experts discuss how the White House is using social science research findings to make government programs more effective. KENNETH PREWITT (Columbia University) will moderate the discussion. Sponsored by the Center for Public Scholarship.